The Goldman name is associated with a storied tradition of excellence in bridal jewelry creations. From stunning engagement rings to inspiring wedding bands. Goldman is a go-to brand under the esteemed Frederick Goldman name that provides quality and exceptional jewelry-making in every piece they produce and offer. Goldman thrives off their traditional family values, having been in the industry for over sixty-five years. Within the Goldman brand name, you will find engagement rings in varying styles and metals from the traditional 14k white gold to extravagant 14k rose gold. Complete the ceremony with a matching Goldman wedding band adorned in diamonds or a more simplistic pure 14k white gold band. From Goldman, you will find distinct collections of engagement rings in the Classic, Contemporary, and Vintage collections. 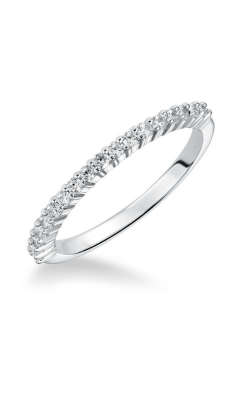 The Classic collection boasts pieces elevated by the shimmering diamonds along the side of the band. These sidestone bands in 14K white gold glimmer and shine and give her every reason to say yes. Also available is the Contemporary collection which hosts bands fit for today’s top fashion-forward brides-to-be. Finally, the Vintage collection harkens to jewelry styles of yesterday that are timeless in their design, but forever trendy. Goldman provides the perfect symbols for your “I do’s”. Available in both men’s and women’s designs, Goldman presents wedding bands in many styles and designs. Women can shop from their Contemporary collection, matching the styles of today found in their engagement ring collection of the same name. Also available is women’s wedding bands in the Vintage collection. For men, wedding bands in the Engraved collection are highlighted by the intricate and detailed metalwork and engravings on each piece. Men can also shop the Diamond collection, where Goldman uses quality diamonds to help elevate the elegance of the groom’s wedding ring. Why Shop for Goldman at Long Jewelers? 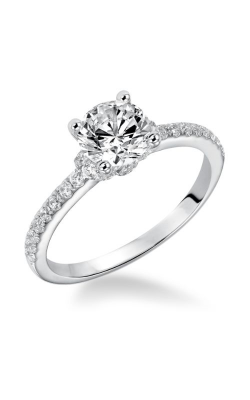 At Long Jewelers of Virginia Beach, Virginia, our experienced jewelry staff help you get the dream ring you have always wanted. With these Goldman pieces available in our extravagant showroom, you will be pleased to discover pieces that fit every style and fashion. We have over 30 years of experience in the business and are happy to share our knowledge and love for jewelry with our local communities of Virginia Beach, Norfolk, Chesapeake, Portsmouth, and Suffolk. We have 0% Financing options available to those who qualify as well as a lifetime diamond upgrade program that helps you grow your diamond as your love continues to grow. Stop by our showroom today and experience quality jewelry pieces in a friendly and welcoming environment.